Ella’s Toys by Karen Kilpatrick is another wonderful book in the Pumpkinheads series. Ella refuses to share her toys, but when she discovers her friends are having fun without her, she decides sharing might be more fun. This is the second book in the Pumpkinheads series that I’ve read. I’m truly enjoying them. 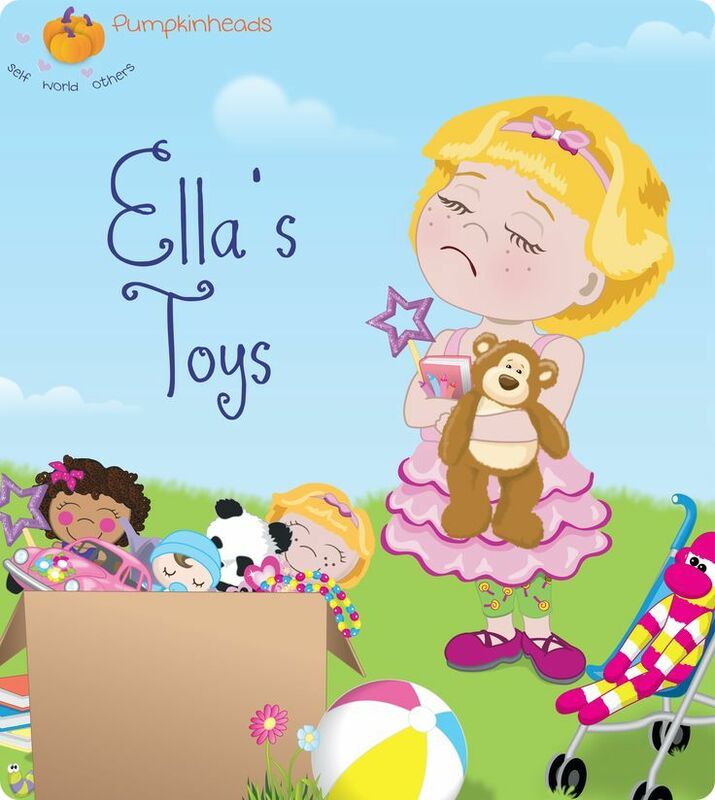 An easy to read book, Ella’s Toys reminds youngsters how much more fun it is to share than to hoard your toys and keep them only for yourself. The vibrant colors and bolded words will catch your child’s eye, but it will be how this book touches the heart that you’ll remember. I can’t wait to read more in this series. Have you ever tried to teach your kids about sharing something special? It’s a hard concept because special toys or even people are difficult to share. 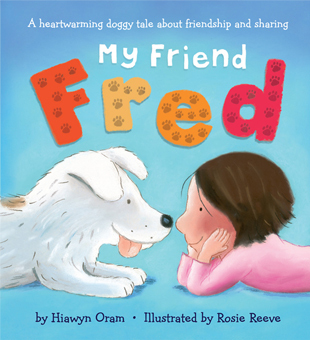 My Friend Fred by Hiawyn Oram shows what one little girl learns about friendship and sharing. Grace and her dog, Fred, do everything together. Her sister, Sarah, tries to tell her that Fred is the family dog, not hers, but Grace wants none of that. One day, Sarah tempts Fred to come and play with all her friends, but Grace takes him away and locks him in her room. Suddenly, Fred doesn’t want to play with Grace. What will she do? Oram has created a beautiful story where Grace learns the thrill and joy of sharing a special friend. It isn’t easy for her, since Sarah has so many friends and Grace only has Fred; but she doesn’t want to make Fred unhappy either. When they all get a chance to play together they have great fun. Rosie Reeve provides the artwork for My Friend Fred. Soft blues and purples are complemented by bright pinks and greens. Some of the pages have paw print accents like those found on the cover in the word, “FRED.” The paw prints on the cover are slightly raised to give the book a textured feel. This is a lovely book from open to shut, though it probably won’t stay shut long. Dog lovers are bound to get into this one. I received a copy of this book from the publisher in exchange for my honest opinion. I received no monetary compensation of any kind for my review.